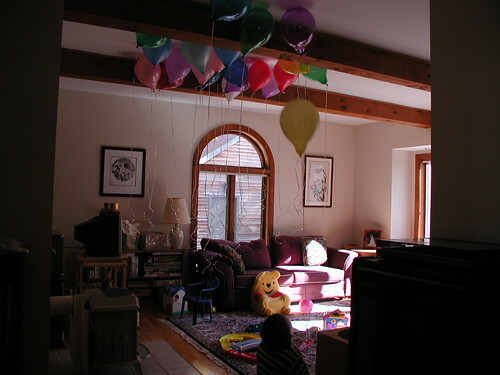 When I think of parties, I think of balloons, especially since I have kids. So here are some of my favorite balloon pictures from various parties. The balloons just before Adam's 2nd birthday party. At Jessica's birthday party (Adam was just one). 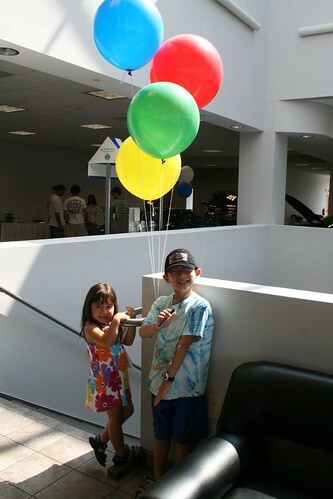 At MacMulkin Chevrolet's Corvette party last summer. He had a corvette party?!? That is so cool. I like your take on the theme! :) I love balloons, too. Great shots! I love those balloons. In fact we have some now because we just came from a party. Hi Angela! 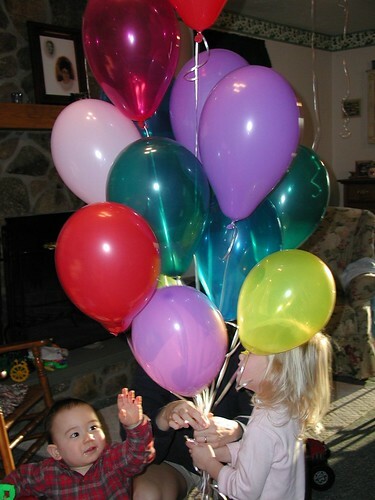 The first picture just gave me an idea for my youngest son's b-day later this month - he'll be 13 and STILL loves balloons. The second picture - how adorable! The baby is all like, "I. Must. Touch. Balloons." LOL How sweet. Great party shots. Hope you have a happy weekend. What is a party without balloons. Great photos. wow! you have a very nice picture and I love the way you put consistency of the picture,it is very flexible...indeed you have a great post! keep it up!!! Parties are great and kids love em! Great photos and have a good week. There's something so special about balloons!